Standard Tilt and Turn Handles - DGS Group Plc. This handle offers an attractive looking product design. The grip feature gives increased hand clearance and incorporates an ergonomic soft grip insert, giving improved comfort and feel during use. Ergonomic soft grip feature and improved aesthetics. Push to open, key lockable in closed position. Available in Gold (PVD), Polished Chrome, Satin Silver, Black and White. Corrosion tested to BS EN 1670. Painted finishes Grade 5, plated finishes Grade 4. Cycle tested to 25,000 cycles under operational load. Base Grip – Zinc Alloy. Button and Mechanism – Nylon 66 and Acetal. 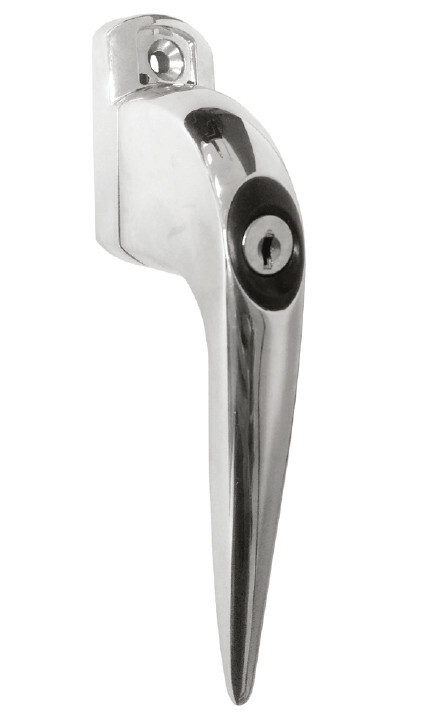 Standard tilt and turn handles can be locked in the close position. 90 degree turn of the key allows movement to tilt only. 180 degree turn of the key allows full operating of sash. 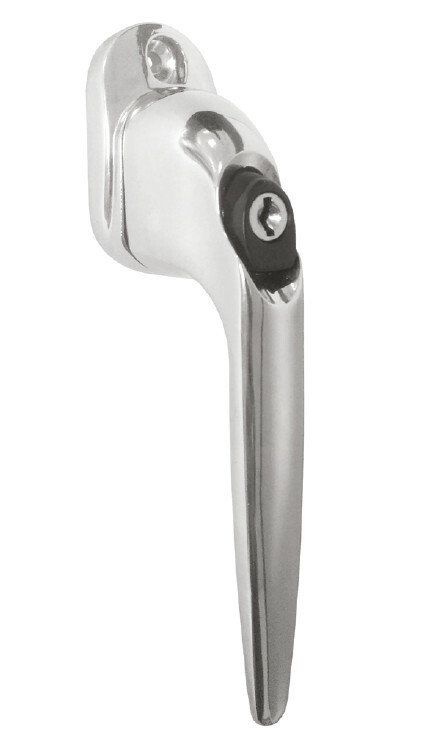 The handle has been manufactured to an extremely high standard to give outstanding product performance. Ergonomic design and improved aesthetics. When locking in the tilt position it allows ventilation without compromising on safety. White button option available on white handles for improved aesthetics. Black button option available on Black, Gold and Chrome handles.